I first heard of Rebecca Rothney when National Geographic Travelers announced their 2014 Travelers of the Year. Instantly I felt a connection. As a former teacher with a love of travel and volunteering I had to reach out. We’ve consistently been amazed at the kindness of strangers when we travel and have always felt (and taught) that as travelers, we are all ambassadors from our home countries. Compassion, understanding, a genuine nature and embracing the local culture goes a long way. Mat and I have often brought supplies with us to donate when we travel but nothing as organized as Pack for a Purpose. I wanted to find out more. There was an instant connection on our call as we chatted for quite awhile about world travel, community, and the ongoing benefits of giving back. This innovative not-for-profit makes it incredibly simple to add charitable goodness to your travels at home or abroad. Head to the website to see if wherever you’re going there’s a Pack for a Purpose hotel with which to connect and enhance local communities that need your help. If everyone could bring a little communities can gain a lot. A book, a stethoscope, a stuffed animal or a pack of crayons yields smiles, good will and hope. You can still spend your days at the beach, roaming that city you always dreamed of seeing, or filled with action packed adventure – but a few kilos and a few minutes that might not change your bank account can truly affect the world, bring a sense of purpose to your travels and change lives for the better. How could you not get on board with that? 1. When did you get started traveling? I started traveling at the age of 11 and never looked back. My first trip was with my parents to Green Turtle Key in the Bahamas. It was our first time snorkeling, and the ocean back in 1960 was a pristine underwater wonderland of coral, sea fans, and amazing fish. 2. 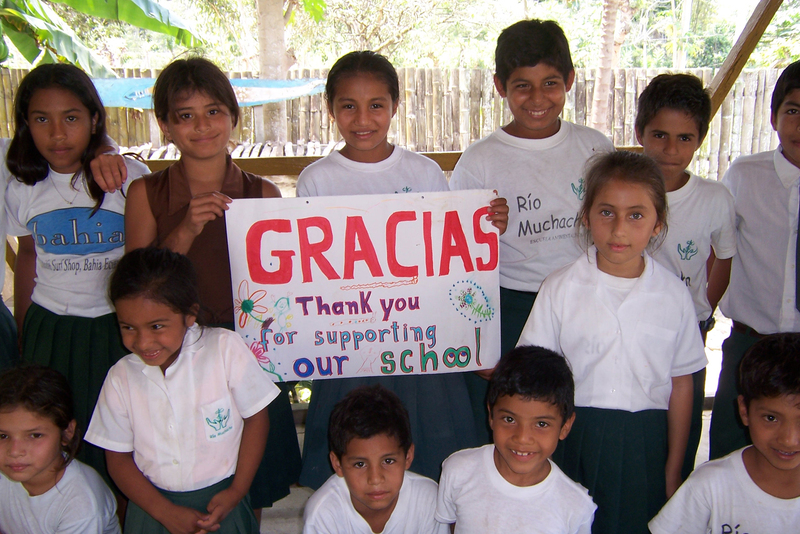 What made you decide to continue a love of travel along with volunteer work? My husband and I were married in Antarctica. Separately and together, we have traveled heaps to all 7 continents. The videos, photographs and making even more memories continue to make me happy. With our miles we tend to purchase free business class tickets to give us a giant luggage allowance (6 pieces of luggage) to deliver supplies. 3. How did Pack for a Purpose develop? 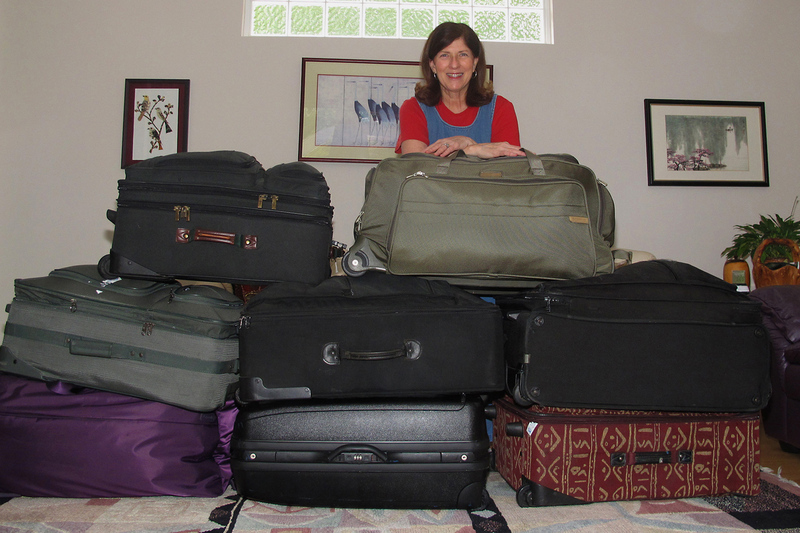 During our first trip to Africa, my husband Scott and I learned that, while we were each limited to 40 pounds (18.14 kgs) of luggage on safari, the airline had an allowance of 100 pounds (45 kgs) of checked luggage plus a 40-pound (18.14 kg) carry-on. In making plans for a second trip, we looked into visiting a school, Mabele Primary School, near our accommodations in Botswana. We contacted our safari company, Wilderness Safaris, to see if we could determine any specific needs of that school. Armed with that information, we were able to deliver 140 pounds (64 kgs) of school supplies (including soccer balls) to the school. It was enormously rewarding to be able to help the people in the community that had given us such a life-changing experience. 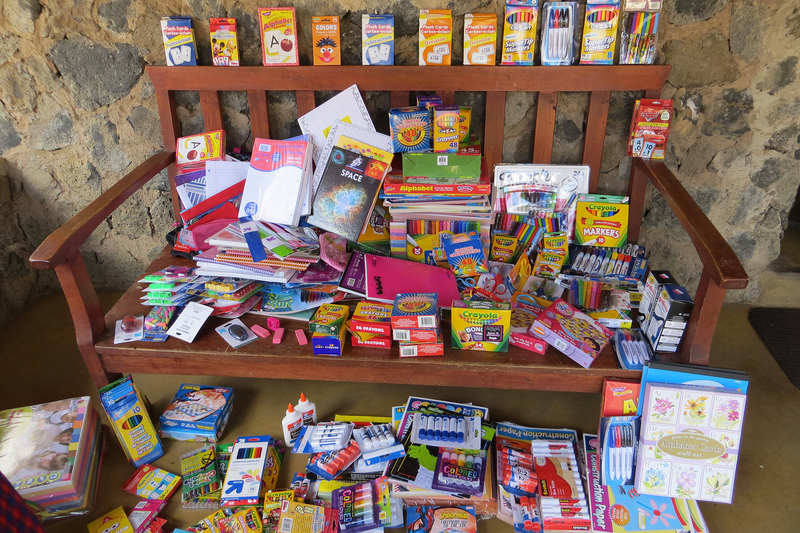 Since then, we and a few of our fellow travelers have made several trips to other countries in Africa and have been able to deliver an estimated 1,500 pounds in donations of clothing, school supplies and medical supplies. I asked our travel agent why other travelers did not use their luggage allowances this way. “Because nobody thinks about it,” he said. That was our “AHA” moment and the reason I developed Pack for a Purpose. 4. How do you think your teaching career prepared you for this next step into this organization’s development? Being an outstanding communicator, organized, a researcher and flexible are all required skills for effective teaching. Teachers must also be able to respond to individual needs and maximize the opportunity for participation in the classroom. These are just some of the skills I use on a daily basis as the chairperson, founder, and principle volunteer of Pack for a Purpose. 5. How can travelers help and get involved? Travelers who want to Pack for a Purpose can go to our website and follow the five easy steps on our homepage. In the last several years, we’ve had brides and grooms, families, businesses, business schools, and individuals all Pack for a Purpose. Their experiences can be found on the Your Story section of our website and on our Blog section. 6. How do you find accommodations to get on board with Pack for a Purpose? 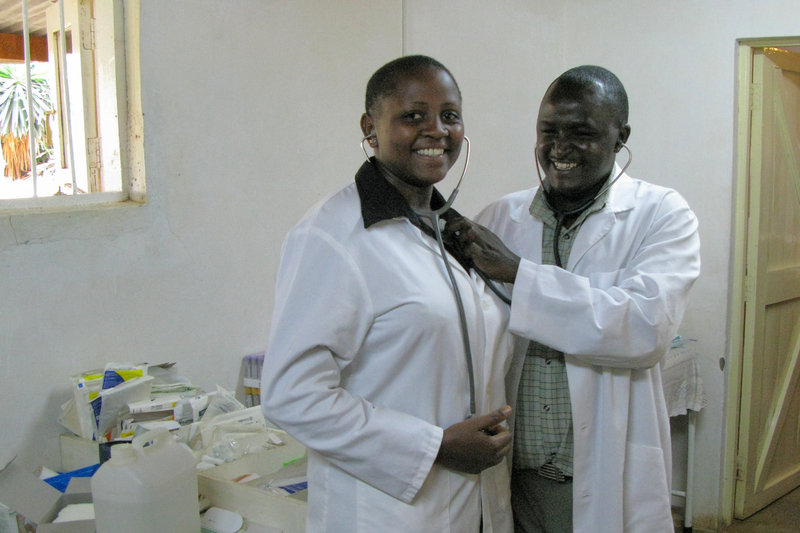 Originally, we sought out organizations that had already received recognition for the work they were doing in health and education. We also reached out to places where we previously traveled that were supporting community projects. Now, accommodations and tour companies are coming to us by filling out the submission form on our website. 7. How do you choose the organizations and areas of the world with which you work? We work across the globe. We do not select the organization/community projects being assisted, as they are selected in the local community by the accommodations and tour companies which support them. 9. What advice do you have for others travelers who want to make a difference while traveling? Before taking any trip – go to our website. I would advise them to educate themselves regarding the local culture and customs so they can be gracious guests in the country. Even if you cannot find a way to bring supplies needed for a project in the community, you can always bring your gratitude, warmth, and curiosity. These will be greatly appreciated by those you come in contact with in your travels. 10. In your experience, what have been the two most significant gifts of travel? Travel has affirmed for me the common experiences that all human beings share, and has allowed me to experience and rejoice in human diversity. Travel is an ongoing educational opportunity where I am always expanding my horizons and friendships. For more information on Rebecca and the organization, check out Pack for a Purpose. Read about her nomination to National Geographic Top Ten Travelers for 2014 here. This is an incredible post. I am so impressed with the Pack for a Purpose organisation, and am happy to know about it. What Rebecca has done is truly an “Ah-Ha!” moment, as I think about my extra baggage allowance given to frequent fliers, in which I often let many kgs go unused. I will absolutely participate when I travel. Thanks Stacey for the article!